Mark Leo is the Managing Director of Delbridge Racing. 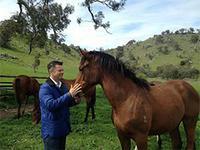 Mark Leo provides a personal touch to our syndicates by managing all Delbridge Racing syndicates. 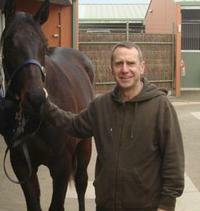 He has been involved in the racing industry as an owner and syndicate manager for over 25 years. Mark has an excellent business background to operate all aspects of syndication as he has successfully held various senior executive roles in finance, commercial and operations. He holds both a Bachelor of Arts and Bachelor of Business (Accounting) degree and has demonstrated an ability to run successful businesses. This, combined with his excellent people skills, makes him an ideal interface for owners into the world of racing. An invoice for each horse you own/lease will be provided each month. Prizemoney distribution can occur as received from Racing Victoria, if required by you, rather than awaiting until the completion of the horses campaign. KniGGhts will utilise one bank account for all payments so if you have a number of horses you will pay into one account and the amount paid will be allocated to your individual syndicate accounts for you. Full implementation of the now standard two tiered set fee structure with a lower set fee when your horse is spelling than the set fee for when your horse is in work. As usual additional charges will be billed two months in arrears but KniGGhts will work with our trainers to determine if we can reduce that lag time. KniGGhts will offer four payment methods – internet, cheque credit card and BPay. KniGGhts will ensure your records and details are secure. In recent years both yearling selection and broodmare mating plans have been undertaken for Delbridge Racing by Damon Gabbedy from Belmont Bloodstock. The focus of Belmont Bloodstock is to provide an opportunity for complete satisfaction in our involvement in racing or breeding. Belmont Bloodstock Agency research and experience can maximise our chances of achieving success and financial viability. Belmont Bloodstock Agency brings an open minded and independent appraisal to all our bloodstock requirements. Planning, research and attention to detail give Belmont Bloodstock Agency the edge required. Belmont Bloodstock Agency offer a complete spectrum of services to its clients. Buying, both at public auction and private sales. Belmont Bloodstock Agency attends all major Australasian yearling, weanling and broodmare sales. Selling, private sales and advice on bloodstock positioning. Management, both in racing and breeding. Belmont Bloodstock Agency offers specialised planning in dealing with your bloodstock interests, advice on breakers, agistment, trainers, sales preparation are all included. Breeding plans. Breeding to race, breeding to sell? We can offer advice on the best stallion that suits your needs. Insurance advice. We can assist you in having your valuable thoroughbred asset protected at the best possible rate available. Belmont Bloodstock Agency was a foundation member of the Federation of Bloodstock Agents Australia Limited. The Federation of Bloodstock Agents abides by a strict code of ethics. Managing director and owner of Belmont Bloodstock is Damon Gabbedy who works closely with Delbridge Racing in our yearling selection and broodmare breeding plans. Damon has been passionate about the thoroughbred industry his whole life, this combined with hard work and a high level of enthusiasm has led to the continued success of Belmont Bloodstock and by extension Delbridge Racing.